Groups including 350 Maine, Sierra Club Maine and the Poor People’s Campaign Maine marched from Lincoln Park to City Hall as part of a national movement to raise awareness for next week’s Global Climate Action Summit in San Francisco. 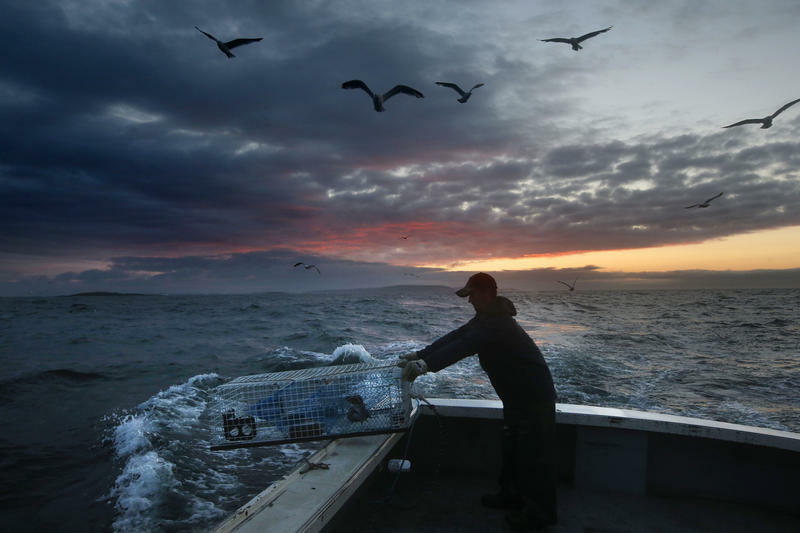 Studies show that the Gulf of Maine is warming faster than almost anywhere else in the global ocean. While organizers say the funeral, colorful costumes and signs- like “‘For Cod’s Sake, Cut the Carbon!” – were designed to inject humor and energy into the event, they say the goals of the rally were serious. The young speakers also talked about different environmental causes close to home, like the environmental effects of Poland Spring Water, a Nestle brand, in Maine and around the world. Beverly Roxby, who describes herself as a “veteran climate walker” cited a handful of major environmental issues that prompted her to turn out for the event. “The clean power plan is one. Auto emissions, relaxing them on future vehicles is one... plans to destroy the Endangered Species Act....anything President Obama did is being attacked,” she said. And, next to the City Hall rally, the League of Women Voters had set up a table inviting potential Maine voters to register. “The biggest thing we can do is get people to the ballot box and get them doing something meaningful, because things have got to change and they’ve got to change quickly,” said Dodd. The event included speeches by several young speakers, including Raina Sparks, a high school junior from Cape Elizabeth, who talked about the importance of young people in grassroots movements, citing the court case Juliana v. United States. “What I love about democracy and grass roots organizing, though, is that they have the same foundational message, and that is ‘people power,’” she said. The young speakers also touched on environmental causes close to home, including the potential for job creation in fields linked to renewable energy. Hunter Lachance, a sophomore at Kennebunk High School who testified before the Senate Judiciary Committee Friday in confirmation hearings for Supreme Court nominee Brett Kavanaugh, who he believes will weaken environmental law. At the rally, Lachance spoke about how climate change is affecting people like him, who have asthma. Originally published Sept. 8, 2018 at 6:40 p.m. ET. Climate change, pollution and water acidity are all among the issues affecting the water in Maine. The vastness and complexity of ocean environments, however, make it difficult for scientists to measure these important changes in the water. That’s why one nonprofit is looking to its volunteers to put a modern spin on an old way of assessing water quality. 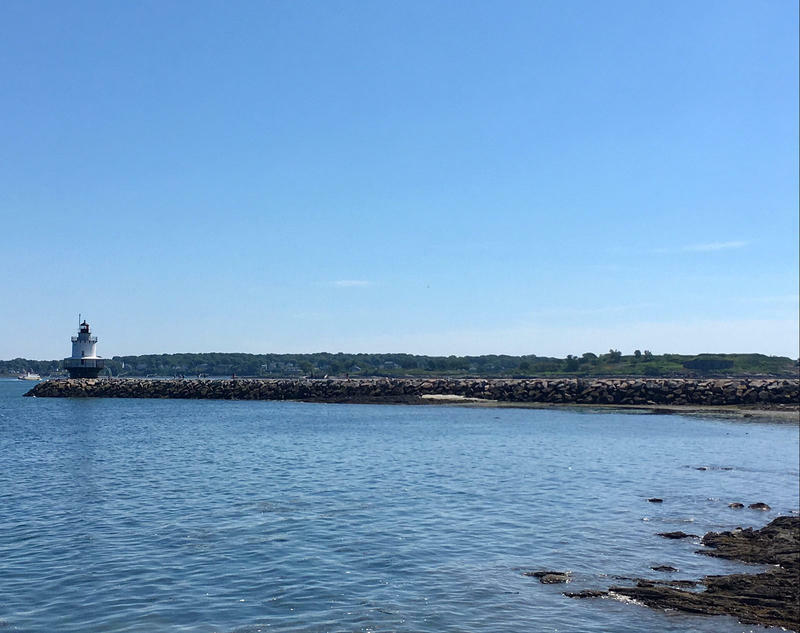 As you take a walk along the shores of Casco Bay this summer, you may notice other beachgoers taking pictures — of the water. Water temperatures in the Gulf of Maine are on course to be some of the warmest on record, and the "marine heatwave" is being associated with disruptions in the gulf's ecosystem. Some animals in the Gulf, though, seem to be adapting to the changes.